This year as always, each troupe member will receive a free cast/crew t-shirt as a small token of our appreciation. 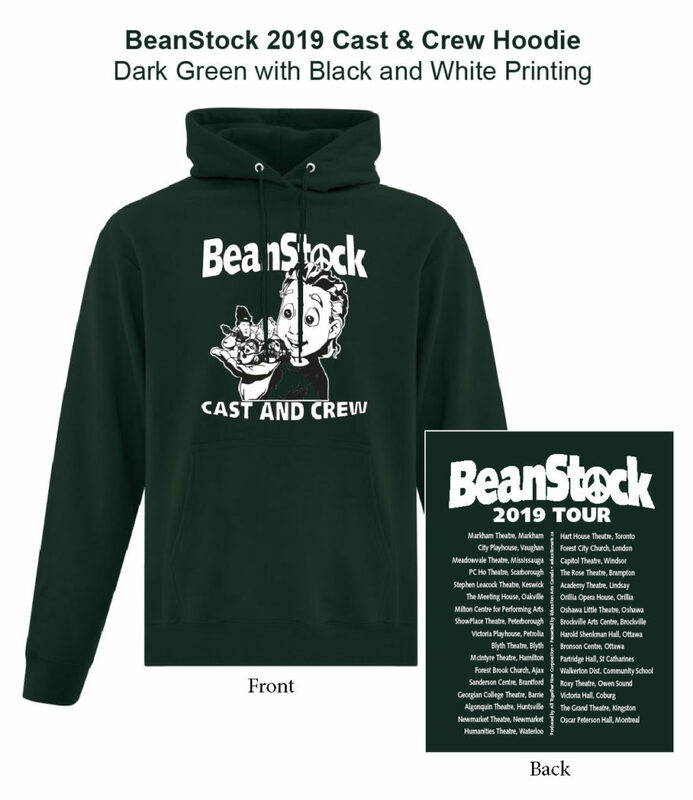 The t-shirt will be a dark green t-shirt with front and back printing, including the names of all the venues that the show will visit. If you would like to order a hoodie in addition to your free t-shirt, you may do so. The cost is $40 plus tax. Once we pay for shipping, staff costs, etc. we don’t make any money on this, but we have to pass along the costs to those families that want a hoodie. Below is an approximation of what they will look like. Our live programming reached approximately 100,000 children this year.